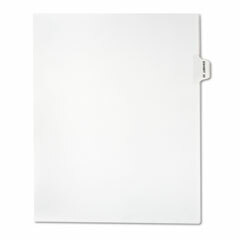 White, letter-sized, single exhibit index dividers feature Mylar reinforced tabs for increased durability. Helvetica Bold title printing aids quick, at-a-glance organization of briefs, reports, contracts and more. 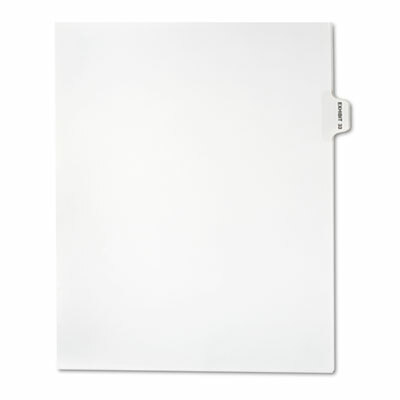 As each divider is compatible with all binding systems and interchangeable with Avery style filing partitions, no matter what your divider requirements may be, Kleer-Fax can fulfill them.